Sony Style Stores worked with Tronic Studios to showcase Sony products in a holiday flavoured television commercial using chocolate and gift wrapping. The Sony Style stores were planning product in-store displays fabricated from chocolate-colored plastic. 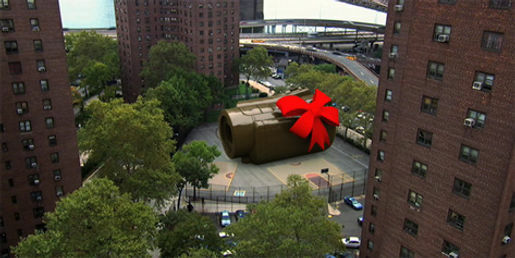 Tronic came up with the idea of a video in which chocolate pours out of the sky to form larger-than-life Sony products. “Sony asked us to produce a new spot for their holiday campaign which associates chocolate, the holidays and Sony products,” notes Vivian Rosenthal, who founded Tronic with Jesse Seppi. ” “We were interested in the exploring the shape shifting nature of chocolate, how it begins as a liquid and solidifies into a recognizable form,” explains Rosenthal. Using 3ds max for animation and Real Flow fluid dynamics software for the chocolate pour, Tronic crafted the Sony sculptures. Time remapping speeded the period between the liquid pour and the chocolate’s solid state while animated effects changed the chocolate’s look from glossy to matte as the liquid hardened. Mental Ray and Final Render were tapped for rendering. 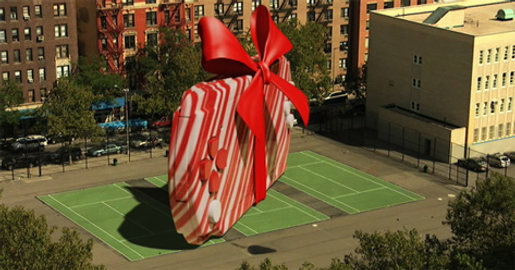 Tronic also added some holiday iconography, deploying peppermint-striped chocolate for the PSP sculpture and weaving red ribbons through the spot to tie up the fully-formed products like gifts. Camera matching and tracking software seamlessly connected the live- action camera moves and the CG products. Skies were replaced throughout to unify the time of day and the look of skies, which had been affected by wind and clouds during the shoot. Music is by Nylon Studios, Sydney and New York.